‘Autistic’ was a relatively new adjective in psychiatry at the time. About a decade earlier, Swiss psychiatrist Eugen Bleuler had coined the term to describe the social withdrawal and detachment from reality often seen in children with schizophrenia. Sukhareva’s characterization came nearly two decades before Austrian doctors Leo Kanner and Hans Asperger published what have long been considered to be the first clinical accounts of autism. 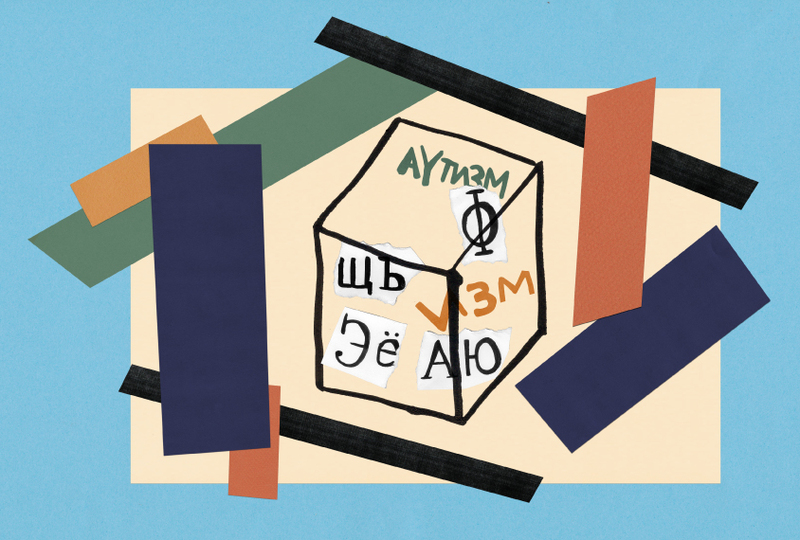 At first, Sukhareva used ‘autistic’ in the same way Bleuler did — but as she started to see other children with this trait, she decided to try to characterize it more fully. Despite her relative obscurity in the West, Sukhareva is “the most well-known name in child psychiatry” in Russia, says Alexander Goryunov, lead researcher in the child and adolescent psychiatry department at the Mental Health Research Center in Moscow. In 2011, on the 120th anniversary of Sukhareva’s birth, the Neurology and Psychiatry Journal, of which Goryunov is executive editor, reviewed her wide-ranging contributions to the field. Sukhareva published more than 150 papers, six monographs and several textbooks on topics as diverse as intellectual disability, schizophrenia and multiple personality disorder, among other conditions. She was also a gifted teacher and mentored scores of doctoral students. Goryunov describes Sukhareva as a “versatile specialist.” After graduating from medical school in Kiev in 1915, Sukhareva joined a team of epidemiologists that traveled to areas in the Ukraine affected by outbreaks of encephalitis and other infectious diseases. But when the Russian Revolution broke out two years later and medical professionals fled or died in battle, she joined Kiev’s psychiatric hospital. The country faced a huge shortage of doctors, and qualified medics such as Sukhareva often moved wherever they were needed most. In 1921, Sukhareva relocated to the Psycho-Neurological and Pedagogical Sanatorium School of the Institute of Physical Training and Medical Pedology in Moscow. (‘Pedology’ was a Russian term for a combination of pedagogy, psychology and medicine.) The government opened the sanatorium to help the country’s many children who had been orphaned, displaced or traumatized by World War I, the revolution, the ensuing civil war or the deadly Spanish flu epidemic. As its long-winded name suggests, it was no ordinary clinic. It took a more scientific approach to understanding child development than most other clinics at the time. Children with serious problems lived at the sanatorium for two to three years, during which time they received social- and motor-skills training. They took classes in gymnastics, drawing and woodwork, played team games and went on group outings to zoos and other public places. At the end of the intensive program, many had made enough progress to be able to join regular schools or music conservatories. The socialist government covered all costs for this intensive intervention, viewing child-rearing as important for society’s well-being. And the clinicians could observe children in a myriad of contexts, gaining a nuanced picture of their strengths and weaknesses. That setup may have helped Sukhareva to describe autistic traits as accurately as she did. Her assessments were extraordinarily detailed. They included the children’s physical health, noting hemoglobin counts, muscle tone, gastric health, skin conditions and more. She documented small changes in their behavior, such as a lack of smiles, excessive movements, a nasal voice or what sparked a tantrum — in one case, seeing a funeral procession go by. And she spoke with many family members — parents, grandparents, aunts and uncles — observing that some atypical behaviors ran in families. Her descriptions were so vivid, readers could recognize “each [child] in the street, or at least in a classroom,” Manouilenko says. Another facility like the sanatorium, dubbed the Forest School, housed dozens of children on the outskirts of Moscow. Altogether, the staff evaluated about 1,000 children over a period of a few years. Throughout her life, Sukhareva launched similar schools all over the country. But her reach stopped at the borders, hindered in part by political and language barriers. Only a small fraction of Russian research from that time was translated into other languages besides German. And although her 1925 paper on autism traits appeared in German the following year, the translation butchered her name, misspelling it as “Ssucharewa.” That paper did not reach the English-speaking world until 1996, some 15 years after Sukhareva’s death, when British child psychiatrist Sula Wolff stumbled upon it. There is another, darker reason why Sukhareva’s work may have been lost for so long, Manouilenko says. Given the limited number of psychiatry journals at the time, it is possible that Asperger, for whom Asperger syndrome was named, read Sukhareva’s paper in German and chose not to cite it. Earlier this year, historians Edith Sheffer and Herwig Czech independently reported that they had found evidence of Asperger’s cooperation with the Nazi Party, and that he may have sent dozens of disabled children to be euthanized. Sukhareva was Jewish, and Asperger may not have wanted to give her credit. Manouilenko offers a more benign possibility: Given Asperger’s position, he may not have been permitted or felt able to credit Sukhareva.